Capri Sweater DEN010, Pink and White, Oversize. 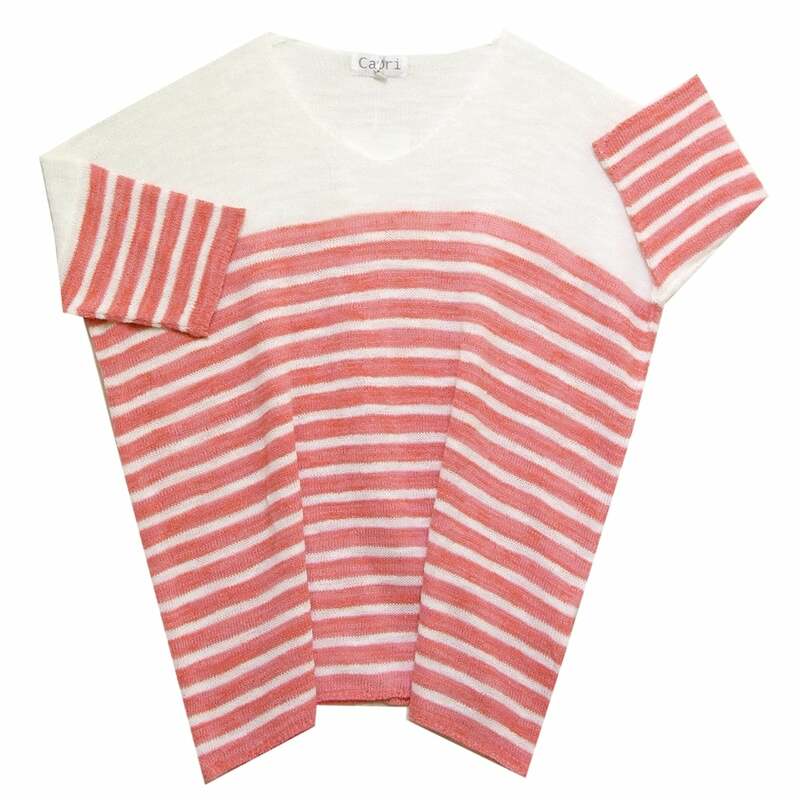 Sweater, oversize with drop shoulders, short sleeves, wide v-neck, in a loose knit with a raspberry pink and white stripes. 50 percent rayon 50 percent acrylic.